Incredibly interesting to listen to. I would also like to compliment you on your progress as an interviewer. There’s a lot of great podcasts out there that occasionally have interview that are..not so great, and while you were never *bad* per se you’re actually becoming quite good. Giving the interviewee the right amount of time, asking thoughtful and well-timed questions (which is all more difficult than it might seem). I can’t wait for the next century! Interesting that Suetonius’ The Twelve Caesars was not cited as an inspiration for The Chronographia. I had listened to Mr. Adamson’s podcast for quite a few episodes and then quit. This interview reminded me of why I did both of those things. Great interview. I was surprised to see no mention of Maximus the Confessor- probably the most original and mind-bending of the Byzantine philosophers. He is usually mentioned in connection with the monothelete controversy but his work goes way beyond that. Anna Comnena mentions her mother reading his works over breakfast, and being quite amazed that anyone would start the day reading such speculative and strange stuff. What struck me about this episode was the fact the Psellos was still able to read the classics that he modeled himself after. Had the Greek language really not changed over the last 1,300 years? I know that we stumble in English reading the works of Shakespeare, let alone older works like Chaucer and Beowulf. Have you seen any commentary on this, Robin? Well obviously day-to-day spoken Greek had evolved. But the education system had been based on a few standard texts throughout the entire Hellenistic and Roman periods. So for the minority who learnt to read and write this remained the standard language to learn. Our struggles with Shakespeare are because we have produced pop culture which replicates our evolving speech patterns and vernacular. 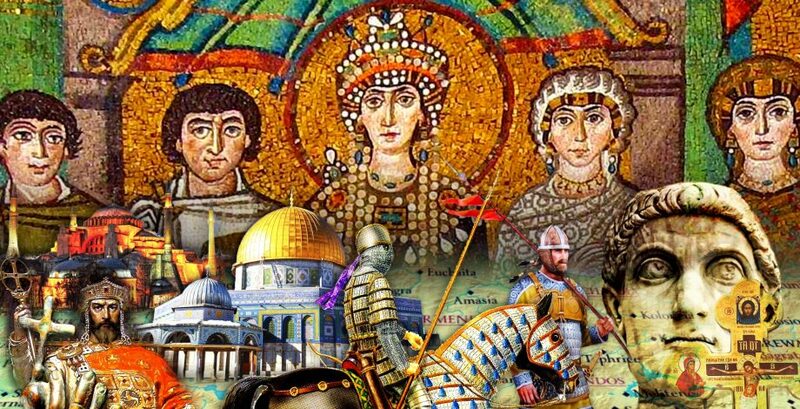 If we were the Byzantines then we would all be writing like Shakespeare but chatting in conversation in modern speech.